March’s Eastern Region Guild Meet in Powerscourt Townhouse Centre Balcony went marvellously! Thanks so much to everyone who attended. 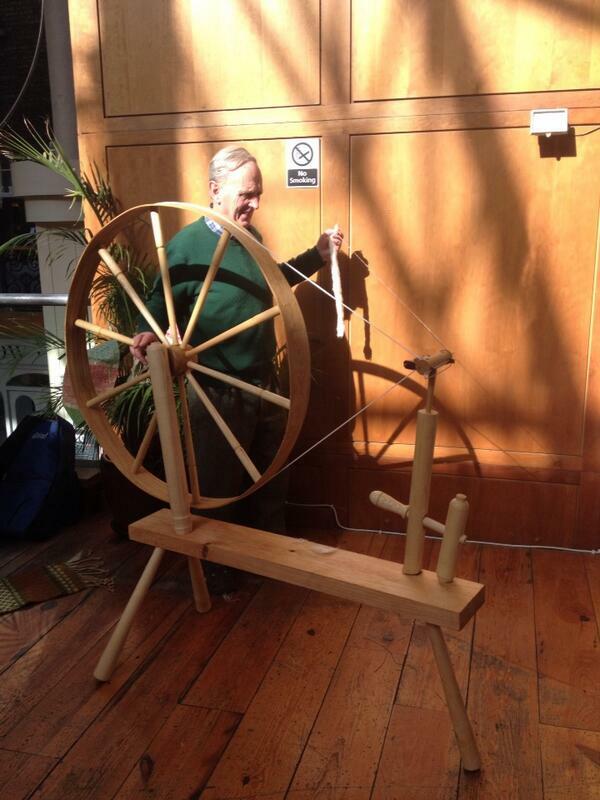 Here above is Peter, committee member with special responsibility for spinning, demonstrating on this fantastic wheel. Louise spun some Soay fleece carded for her by Máire. And Dearbhla is planning on using this fleece to spin enough yarn for a sweater! Eastern Region Guild Meets take place on the third Sunday of every month in Powerscourt Townhouse Centre, on the balcony, in Dublin City Centre. They are entirely FREE to attend, and it is a super chance to try out wheels and looms with those who know what they are doing. Next month’s Eastern Region Guild Meet will be replaced, however, by our annual Open Day! Come and see us on April 12th in the RDS, Dublin. 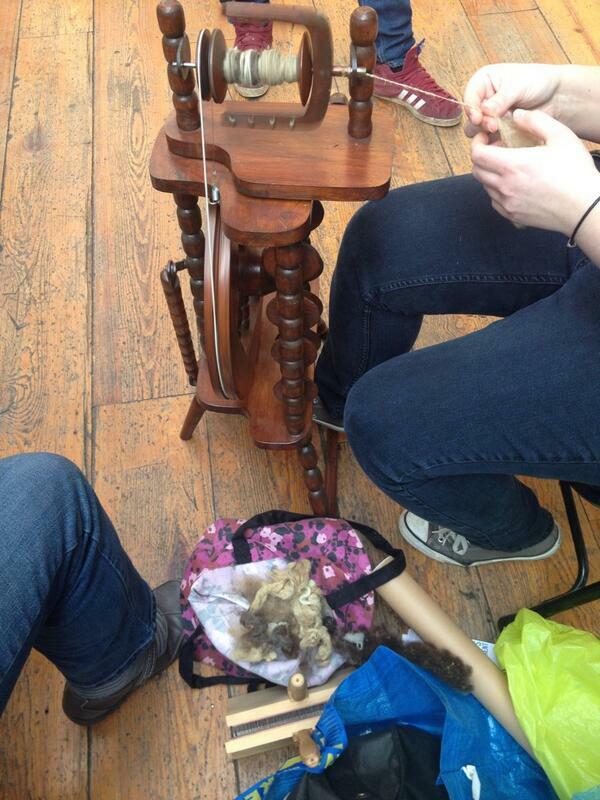 We will be in the Dodder Room, with all manner of wheels, looms, carders, and everything in between. 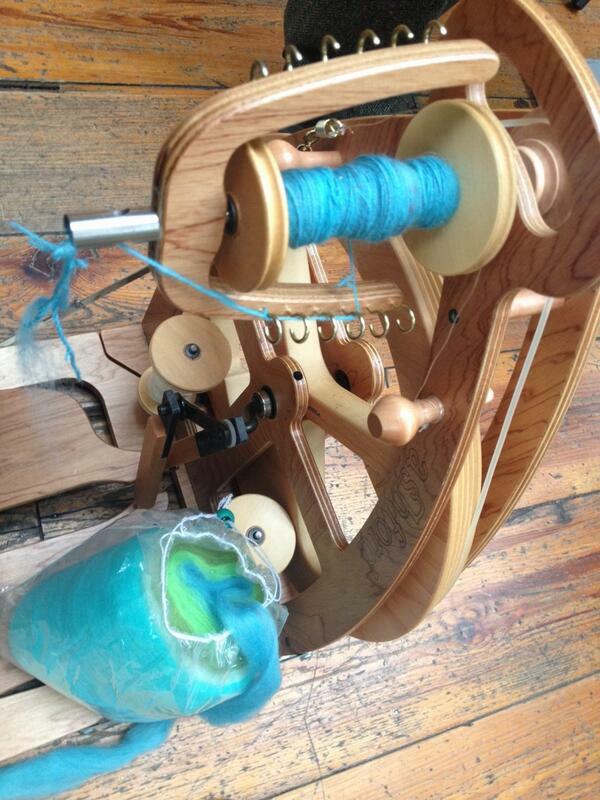 Any queries, get in contact – hello@weavespindye.ie.